In recent years the event has attracted much interesting research as scholars have explored the value and importance of the TT races, we thought therefore it might be worthwhile highlighting some of this good work. Two of the most recent papers provide complimentary perspectives from the viewpoint of the spectator experience (Spectators’ Negotiations of Risk, Masculinity and Performative Mobilities at the TT Races) and the local population (Identity in the “Road Racing Capital of the World”: heritage, geography and contested spaces). Both papers build upon earlier work presented in The Isle of Man TT Races: Politics, Economics and National Identity (open access). Memorial plaque to Richard Swallow near the Les Graham Memorial Shelter (1992). Spectators’ Negotiations of Risk, Masculinity and Performative Mobilities at the TT Races similarly explores the complex issues associated with the dangers of spectating at the event focusing on the ethnographic experience of race fans. In contrast ‘The Island of Blood’: death and commemoration at the Isle of Man TT Races and ‘Death has no dominion when it is so common’ Roadside memorials at the Isle of Man TT Races (open access) examine the physical manifestations of these dangers; the memorials constructed in the aftermath of fatalities by the friends and families of those killed. Some of these memorial are also presented in a related resource Memorials from the Isle of Man TT Races (open access). 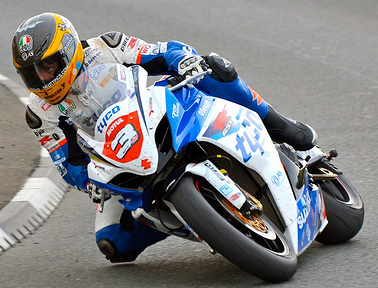 These works reflect the growing interest and importance of the Isle of Man TT Races, illustrating that the event is certainly worthy of academic inquiry. It is through this research that a better understanding of the attitudes and reactions to the event can be reached. If you have any comments on these researches then please send an email to manxresearch@gmail.com, or leave them in the section below. This entry was posted in History, Research, TT Races by Ray Moore. Bookmark the permalink. This all looks good. Currently in press and hopefully soon to be released is a book based on my research: The Isle of Man TT Races: Motorcycling, Society and Identity, to be published by Cambridge Scholars Publishing – Simon Vaukins. Simon’s new book will be published on the 1st August – http://www.cambridgescholars.com/the-isle-of-man-tt-races. This builds upon research carried out during Simon’s PhD at the University of Lancaster. Should definitely be worth a read.